Sarah Nader- snader@shawmedia.com Deputy Mike Stadler gets into his 1995 Chevy Caprice squad car with a corvette engine outside the McHenry County Sheriff's Department in Woodstock Thursday, January 21, 2016. "Every day I get stopped by someone wanting to take a look at the car," said Stadler. 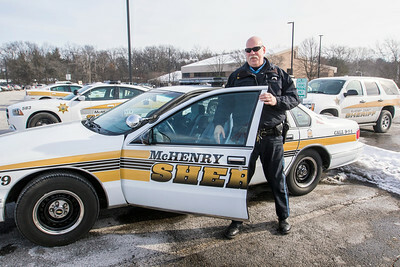 McHenry County Sheriff's Department brought the car out of storage and fixed it up with modern technology a little over a year ago. Deputy Mike Stadler gets into his 1995 Chevy Caprice squad car with a corvette engine outside the McHenry County Sheriff's Department in Woodstock Thursday, January 21, 2016. "Every day I get stopped by someone wanting to take a look at the car," said Stadler. 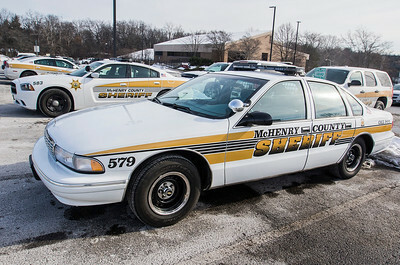 McHenry County Sheriff's Department brought the car out of storage and fixed it up with modern technology a little over a year ago.